Dr. Rudy Mueller, DC, IFMCP, FAARFM and Annette Mueller, MS, FNP, IFMCP are Certified Functional Medicine Practitioners through the Institute for Functional Medicine. 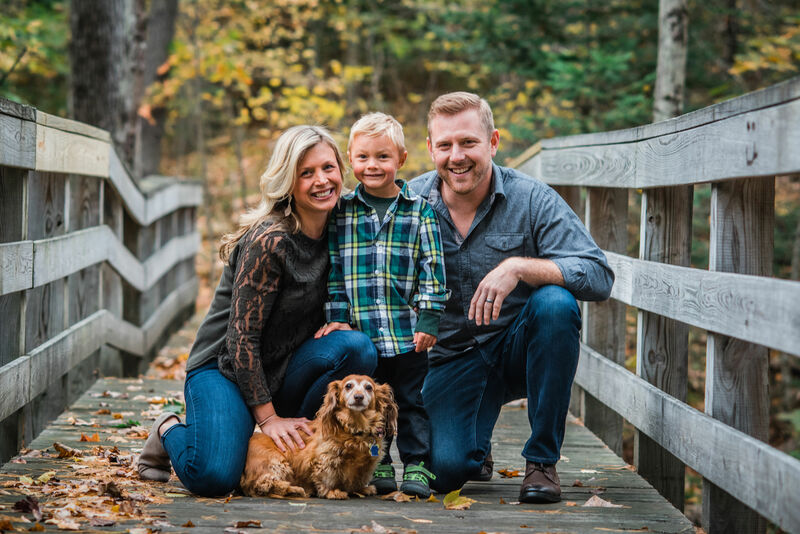 They met in 2012 while attending a functional medicine conference, instantly fell in love, got married, started a family, and have been practicing functional medicine in the greater Portland, Maine area ever since. Their shared passion for functional medicine is evident in how they live their lives and approach their patients. They aspire to keep their own family healthy through nutrition and lifestyle and want to share their knowledge and techniques with your family. Their unique collaborative approach allows patients to see each provider individually, or have a team consult to best address their health needs. As a board certified doctor of chiropractic, Dr. Rudy was trained to address the body in a holistic manner with the understanding that physical and emotional trauma, along with thoughts, toxins, and food, can disrupt a person’s physiology and create symptoms and lead to a diagnosis. He developed a passion for functional medicine and became a Certified Functional Medicine Practitioner through the Institute for Functional Medicine and earned an Advanced Fellowship in Anti-Aging and Regenerative Medicine through the American Academy of Anti-Aging Medicine. He has additional training in Genomics, Reversing Cognitive Decline utilizing the Bredesen Protocol, Autism Spectrum Disorders, Lyme Disease, and Enhancing Athletic Performance. As a board certified family nurse practitioner, Annette was trained in conventional medicine but became quickly disillusioned with the primary care model which offered little time, or tools, to address chronic illness. She developed a passion for functional medicine while working at an integrative medicine center in Miami Beach, Florida. Here, she learned about a gluten free diet, a relatively new concept at that time, and was able to personally implement this diet to reverse chronic digestive symptoms that had plagued her for more than ten years. Within a month, functional medicine was able to address her problem after years of failed conventional medicine treatments. These results motivated her to become a Certified Functional Medicine Practitioner through the Institute for Functional Medicine to utilize this approach to help herself and her patients. She has a special interest and advanced training in Bioidentical Hormone Replacement Therapy (BHRT), Preconception Medicine, Autism Spectrum Disorders, Lyme Disease, and Intravenous Nutrition.